Specific – Well defined and understandable. Time Based – set aside enough time to achieve the goal but not too much. Now let’s look at what goals other people have been setting in social media marketing. I just wanted to say thank you for adding me to this list as well. I just discovered your website and have added it to my favorites. Keep up the great work. Thank you for your original post, Renee! Hey, thanks for the shoutout! Just discovered this (yes, a couple weeks late)–it hadn’t come up in my google alerts. Hope you’re having luck achieving your 2011 goals so far. 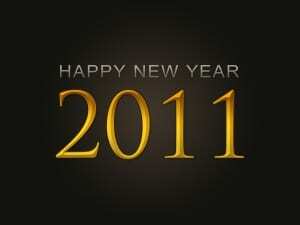 First and foremost – happy 2011! Hope it’s a great one for you. Thanks a lot for including my 22 Social Media Resolutions in this roundup. Much appreciated. I really like your SMART approach. You’re right on that one and it certainly makes sense in many ways. I’m looking forward to reading what some of these folks set for themselves – Social Media Marketing wise – this upcoming year.